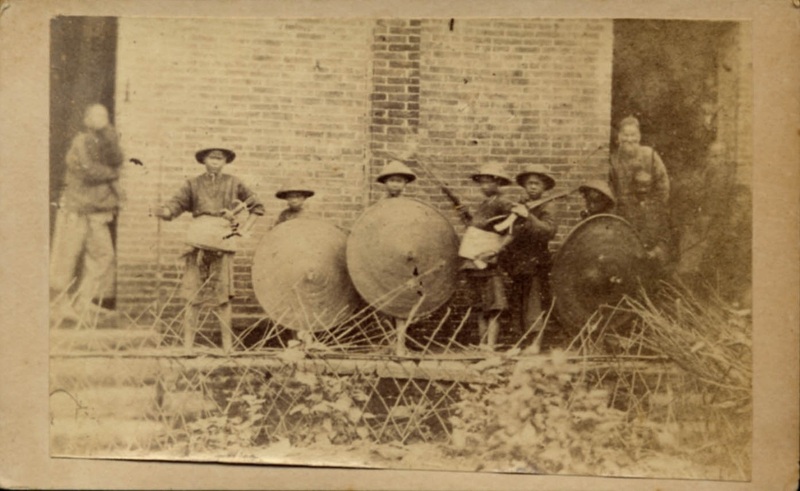 Youth engaged in militia training outside of Guangzhou in the 1850s. 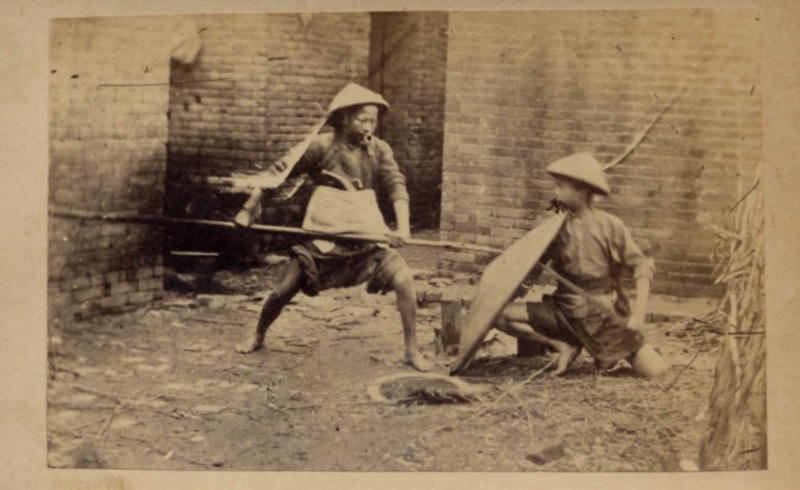 Note the long thin blade being held behind the rattan shield by the kneeling individual. The individual with the spear appears to also be armed with a matchlock handgun. source http://www.swordsantiqueweapons.com. 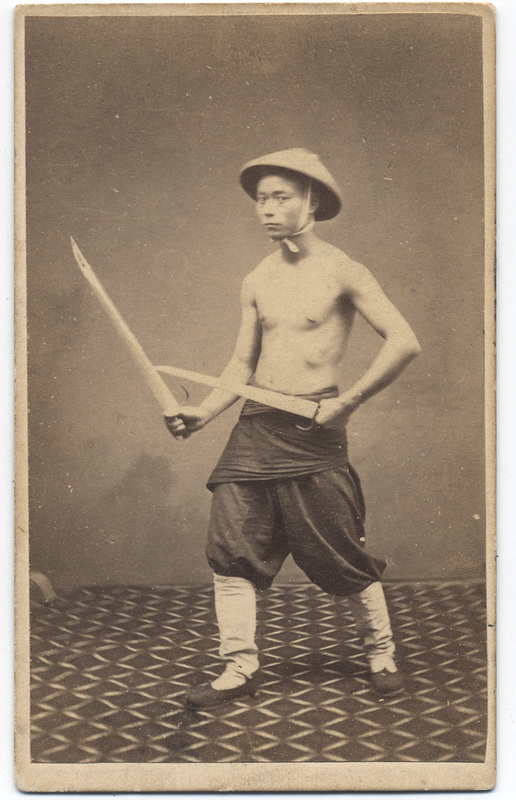 1860s photograph of a “Chinese Soldier” with butterfly swords and rattan helmet. Subject unknown, taken by G. Harrison Grey. Another picture of the same young militia group seen at the top of the post. Luckily the hudiedao of the leader have become dislodged in their sheath. 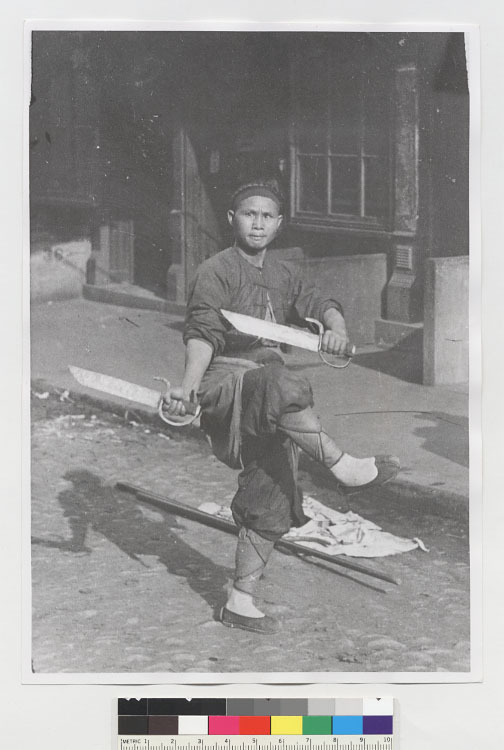 We can confirm that these are double blades, and they are of the long, narrow stabbing variety seen in some of the prior photographs. Source http:\\www.swordsantiqueweapons.com.